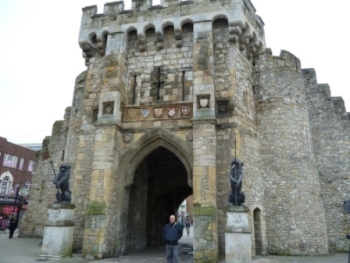 The Bar Gate in Southampton, England opens into the Old Town City Center, home to many memorials to the victims of the Titanic which sailed from here. 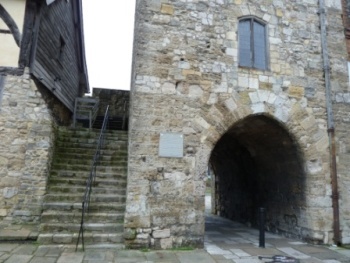 The pilgrims on the Mayflower left through the West Gate in 1620. 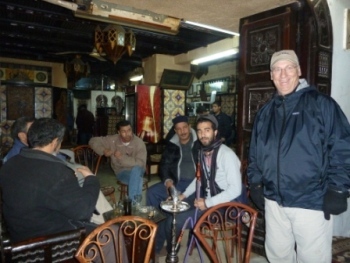 At a cafe in Tunis, Tunisia Paul visited with some local men smoking waterpipes. 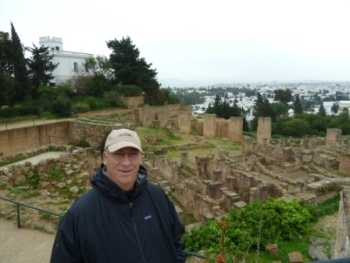 We stood on Byrsa Hill overlooking the ruins of Carthage and the Bay of Tunis below. 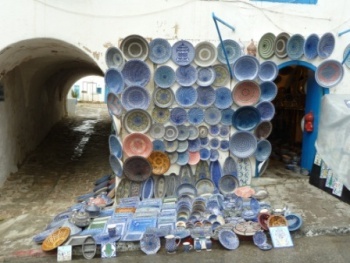 Sidi Bou Said is known for its white buildings, blue doors and windows and colorful markets. 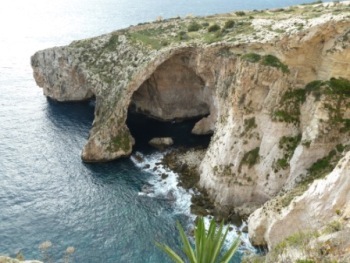 The island of Malta has beautiful coast lines with limestone caves and grottos. 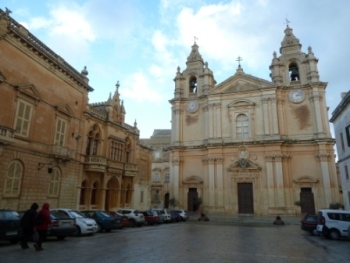 In the city of Mdina, the old capital, the Cathedral is dedicated to St. Paul who was shipwrecked here and brought Christianity to the people. 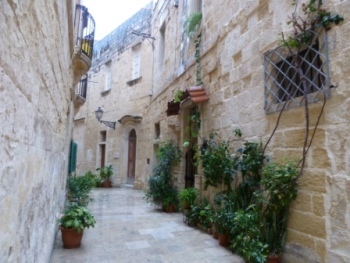 Today's capital, Valletta, has preserved its narrow streets that for centuries were home to the Knights of St. John. 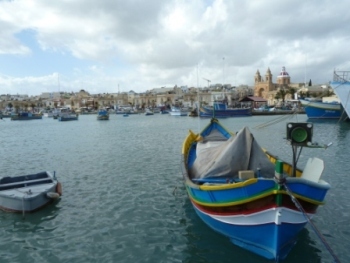 Marsaxlokk is a pretty, working village of fishermen. 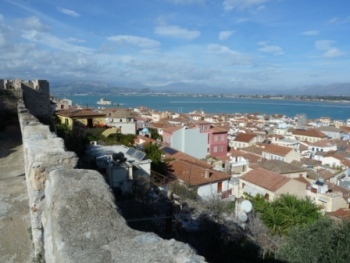 Navplion, Greece was quiet on Sunday afternoon; but we enjoyed the great views from the ruins above the town. 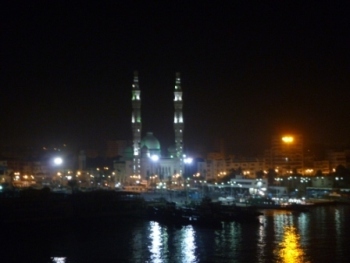 We had to wake up at 3:30AM to watch the boat enter Port Said, the entry city for the Suez Canal. 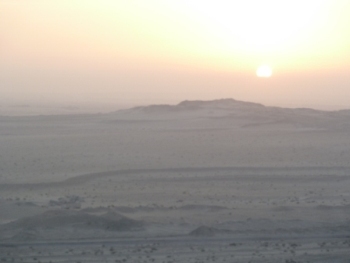 The sun didn't rise over the desert until 6:45. 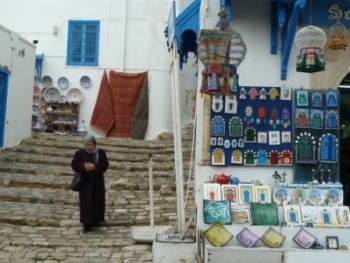 By that time we were only one fourth of the way through our 12 hour passage. 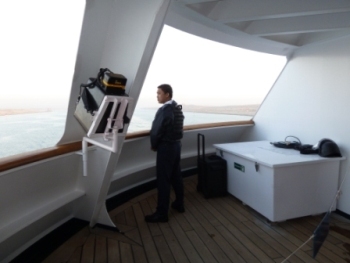 Security on the ship was high. Fire hoses were unrolled and on the deck to use against any attacker. Guards in bullet proof jackets stood watching at the bow near a machine that puts out a type of wave that rattles the brains of whoever it is pointed at. 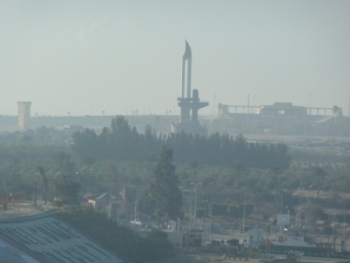 At Ismailia, a monument of a bayonette on an AK47 stood next to the "Welcome to Egypt" sign (in the lower left corner of the picture). 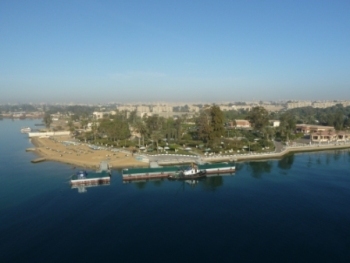 By noon we cruised past a large resort with date palm trees and a beach that was near the Presidential palace at Lake Timsah. 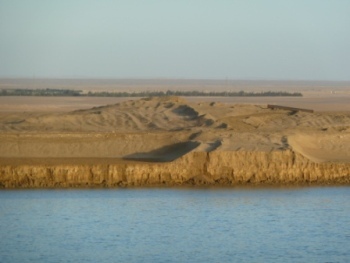 On the opposite bank was an endless landscape of sand dunes on the Sinai Peninsula. 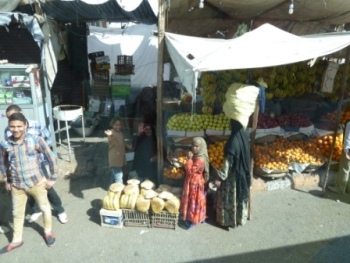 Along the 100 mile route, we saw fishermen, military officers, a man walking his camel, and people standing at a bus stop. 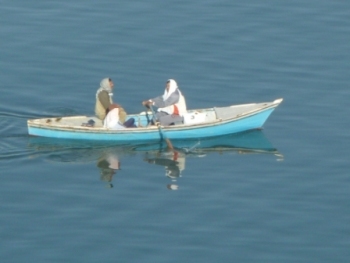 But all of them, smiled and waved including this Egyptian ship that welcomed us with his horn and jets of water. 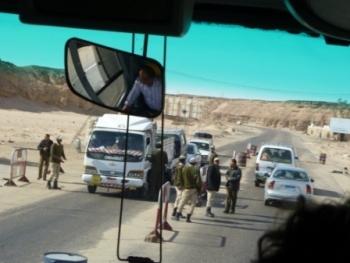 There were safety check points about every 20 minutes on the highway from the Red Sea to Luxor. 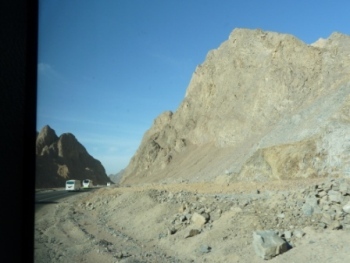 We drove for 2 1/2 hours through the barren Red Sea Mountains and saw few signs of life. 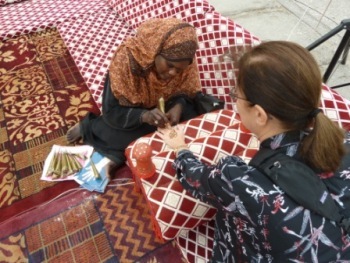 The people living in the city of Qena waved and smiled happily at us. 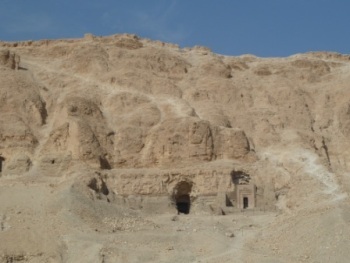 On the West Bank of the Nile we were able to go into 3 archaeological excavations in the Valley of the Kings, like the tomb of Tutankhamun. 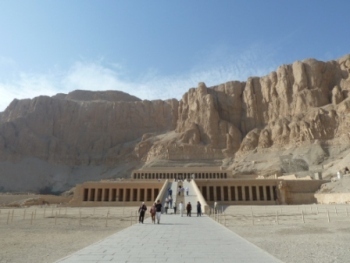 Nearby the Temple of Queen Hatshepsut was built in an impressive setting. 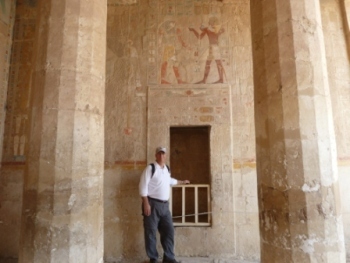 Inside the temple, the hieroglyphic drawings still preserved their original colors. 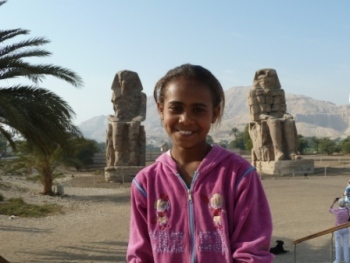 Deena, a local girl, posed for us in front of the huge Colossi of Memnon. 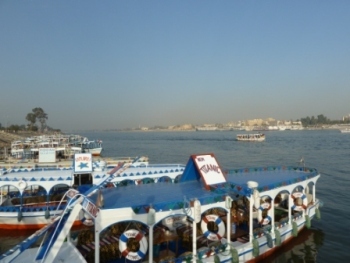 From the West Bank, we took a ferry across the Nile. 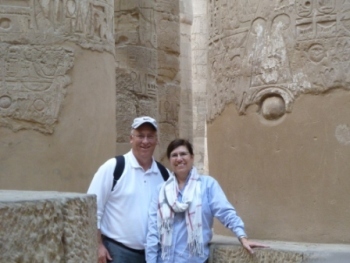 There we entered the largest temple complex in Egypt - the Temple of Karnak. 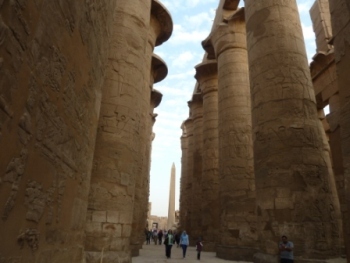 We felt dwarfed by the columns. 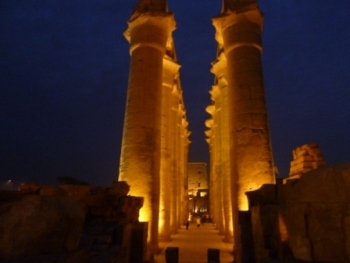 As the sun was setting, we entered the Luxor Temple and enjoyed the beauty of the sanctuary. 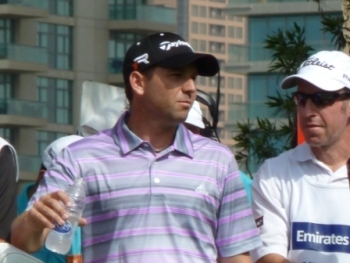 What surprise Dubai was for us! 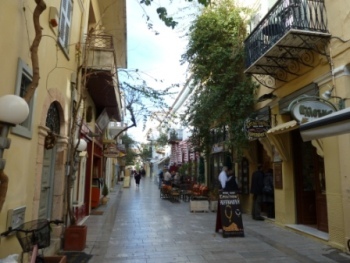 We learned that nearly the entire city has been built in the last 15 years. 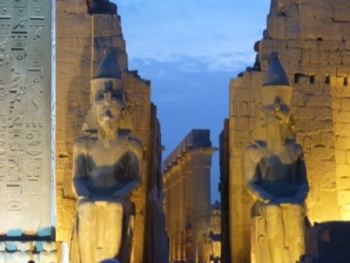 No wonder everything was new and modern. 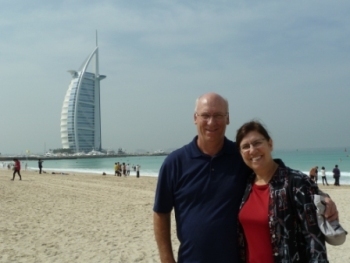 The beach in front of the Burj al Arab was full of people in tiny bikinis. 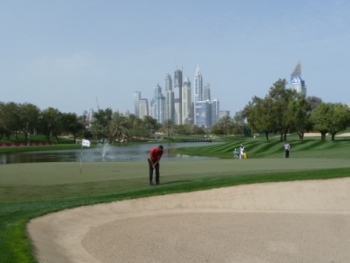 The tallest building in the world, the Burg Khalifa, was nearly too tall to photograph; even at a distance. 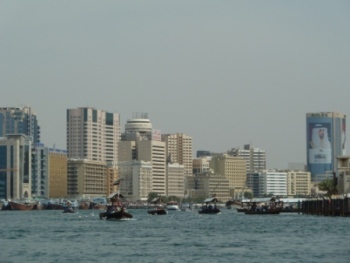 We took an abra (wooden water ferry) across the Dubai Creek to look at the souks (markets). 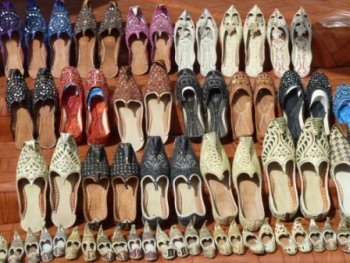 Even though Vicki loves shoes, she was able to resist the Aladdin style slippers she found there. 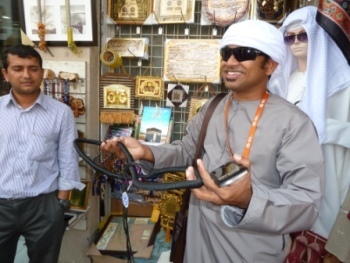 Our guide, Sunil, taught us the use and history of the arab head bands (originally used to hold the legs of the camels together so they wouldn't walk away). 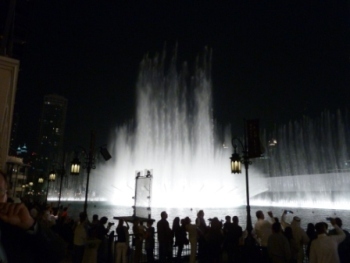 That night we visited the world's largest outdoor fountain at the Dubai Mall. The free 25-minute watershow was like watching 4th of July fireworks. 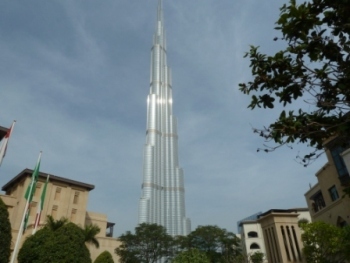 Torches of fire,colored sprays, laser show, and live actors all added to the performance; while the Burj Khalifa looming above us flashed lights to the beat of the music. 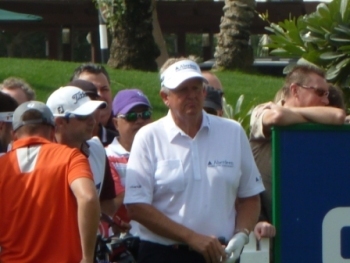 When we heard that the Dubai Dessert Classic was going on, we took the opportunity the next day to go see some of the golfing greats play. 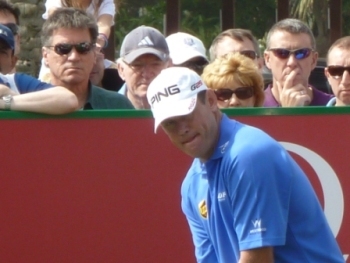 This picture was taken by a dubaidesertclassic.com reporter while Paul watched young Seung-yul Noh tee off with an iron and out drove the others who used woods. 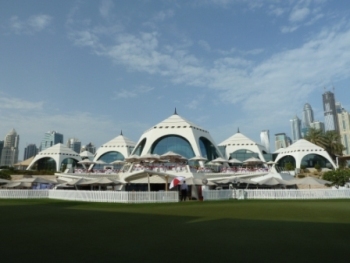 The clubhouse sat between the practice green and the cityscape. 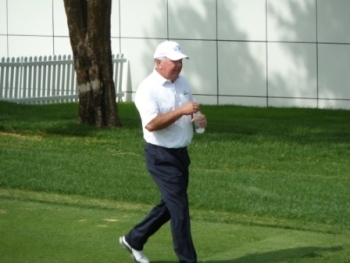 The entire course was beautifully manicured and lush. 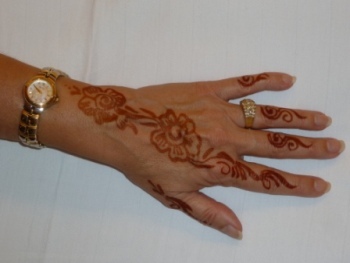 In Abu Dhabi, Vicki got her hand tattooed with henna. It only took the woman about one minute to draw the entire design.